Services provided on the Mobile Outreach Clinic bus are free of charge. No one will be denied access to services due to inability to pay. However, donations are encouraged and appreciated. 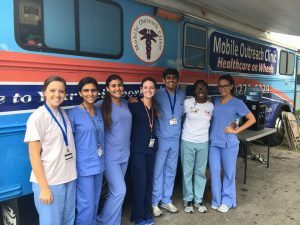 Donations to the mobile clinic can be made online at: Online Giving . If you would like to make any other type of donation (i.e: medical equipment, general supplies, etc.) to the clinic, please review the information on our ‘Donate’ tab.